This chart series tracks the price of gold, silver and platinum, as quoted on the London market. Prices are end-of-day fixings, in US$ per Troy ounce. 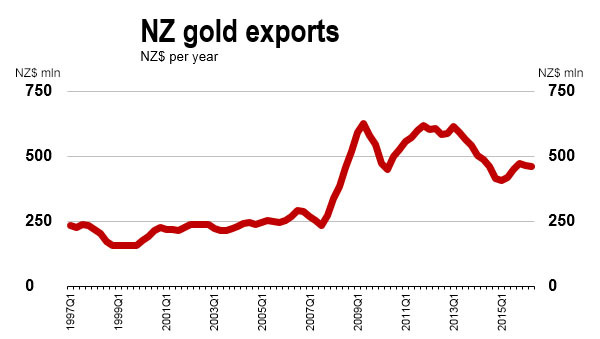 The NZ$ equivalents are converted using the Reserve Bank daily reference series, on an adjusted-date basis. 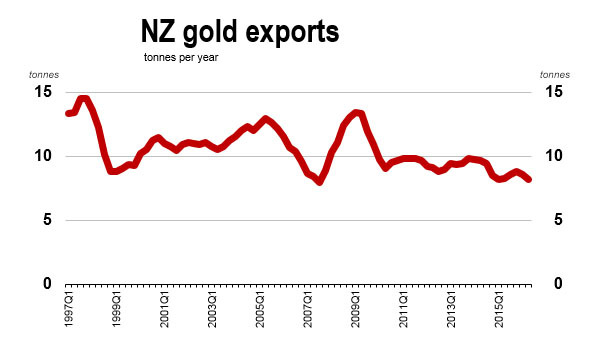 That is, the end-of-Thursday gold price in London is converted at the Friday 11:10am NZD:USD exchange rate. Our free weekly precious metails email brings you weekly news of interest to precious metals investors, plus a comprehensive list of gold and silver buy and sell prices. To subscribe to our weekly precious metails email, enter your email address here.